Slot head machine screw and fixings manufactured from 316 marine grade stainless steel (A4-AISI). 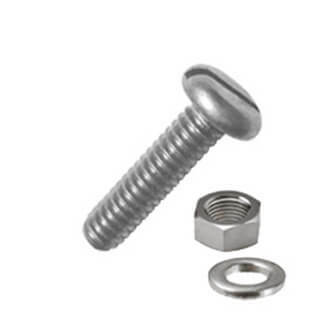 Supplied with full nut and plain washer for a secure installation. Great products and excellent service again. Highly recommended! Not quite what I wanted, but I modified the heads into round and they were great.